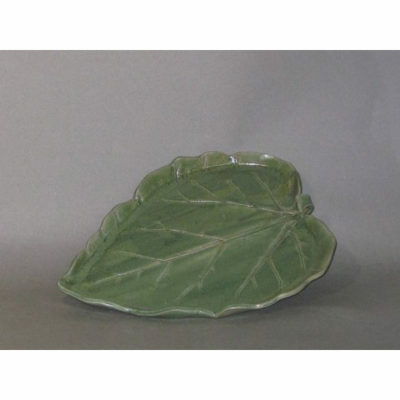 Here is a fun way to serve with the Rhubarb Leaf Platter by potter Nancy Scilipote who uses stoneware and porcelain fired to cone 6 (2200 F) in an electric kiln. 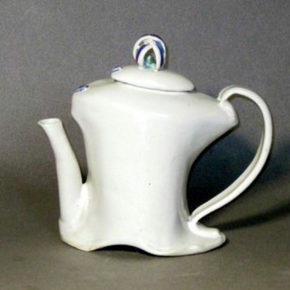 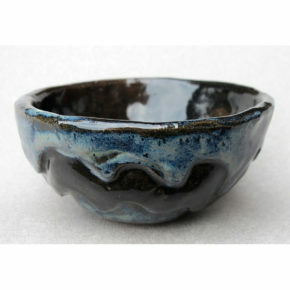 Although usually more functional, her work typically has a decorative and whimsical feeling. 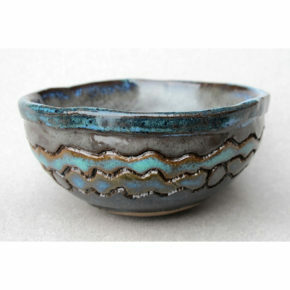 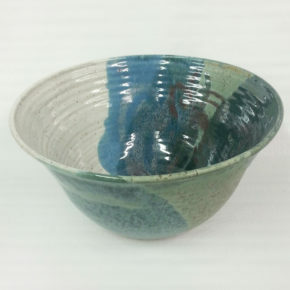 Her pieces may be thrown, hand built or a combination of the two, with added texture, slips and glazes to achieve the desired look.